I was a pretty big fan of the band Live back in high school, but then, basically everyone was. Throwing Copper sold eight million copies, and you couldnÃ¢â‚¬â„¢t turn on MTV or the radio without hearing Ã¢â‚¬Å“Lightning CrashesÃ¢â‚¬Â or Ã¢â‚¬Å“I Alone.Ã¢â‚¬Â I went to four excellent Live concerts in college, and the crowds were universally jam-packed. 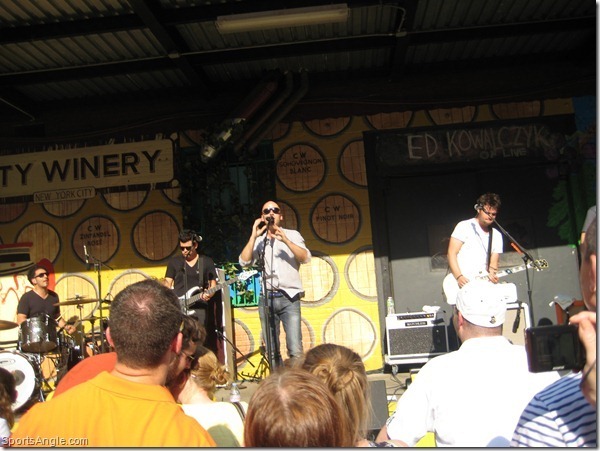 Two summers ago, a full decade after LiveÃ¢â‚¬â„¢s popularity began to wane, I caught wind of a free outdoor show by former lead singer Ed Kowalczyk in the parking lot behind City Winery in New York. My high school friends and I discovered a somewhat different dynamic than what we had been used to, with Ed K. playing Live songs and new solo material in the oppressive heat of a 90-degree afternoon in front of a couple dozen nostalgia-seekers. At first, I found the scene bittersweet in that the enormous popularity of a band I loved had been distilled down to a very small group at a show that cost nothing to attend. But the music was wonderful as always. I came face-to-face with a lot of memories; Live had, after all, been my first concert as a freshman in college. I was finally able to meet Kowalczyk. And there was something pretty great about sharing the afternoon solely with true die-hards who had bothered to stick around long after LiveÃ¢â‚¬â„¢s last spin on contemporary rock radio. For a sport that is said to have died more times than Michael Myers, boxingÃ¢â‚¬â„¢s most recent supposed demise came last Saturday, when Manny Pacquiao lost a decision to Tim Bradley in a match that most people Ã¢â‚¬â€œ myself included Ã¢â‚¬â€œ had scored for Pacquiao, many by wide margins. I closely rewatched the fight this weekend, and my opinion didnÃ¢â‚¬â„¢t change. The critical floodgates opened after that, as for the past few days, IÃ¢â‚¬â„¢ve listened to a whole lot of people who couldnÃ¢â‚¬â„¢t give a damn about the sport 49 weeks of the year tell me this was the nail in the coffin sending boxing the way of roller derby. You need look no further for evidence to the contrary than the sheer volume of people who seemed to care an enormous amount about the decision. LeBron James made the NBA Finals, there was a Subway Series and a somewhat significant horse race, and all anyone wanted to talk about the entire weekend was how Pacquiao got jobbed. Not to mention, boxing occupied four spots on Twitter’s worldwide trending topics after Julio Cesar Chavez Jr.’s victory over Andy Lee last night. Given that none of the non-boxing Pacquiao audience was watching, it indicates that the core audience for the sport might be a little bigger than most believe. Boxing may not be completely well, but itÃ¢â‚¬â„¢s most certainly alive. ItÃ¢â‚¬â„¢s also perfectly archaic, which can be comforting and maddening at the same time. Boxing changes its rituals about as often as the Freemasons, and those who rail about the human element of baseball umpires must be horrified when boxing judges render a decision that makes one wonder whether they were actually watching the same fight. And you donÃ¢â‚¬â„¢t have to go back very far for the last time everyone vociferously swore off a sport theyÃ¢â‚¬â„¢re not really a fan of anyway. PacquiaoÃ¢â‚¬â„¢s decision victory over Juan Manuel Marquez in a very close fight in November evoked similar outrage, and if anything, PacquiaoÃ¢â‚¬â„¢s first loss in 15 fights erased the tarnish from that supposed debacle. Of course, none of this is new. For better or worse, people who closely follow the sport are conditioned from years of watching various injustices and atrocities. The sport carries so much inherent nonsense with it Ã¢â‚¬â€œ horrible decisions, shady backroom deals, the increasing specter of steroids Ã¢â‚¬â€œ and yet to summarily dismiss it is to miss out on the magic when Sergio Martinez steps in against Paul Williams. Despite what the idiot media or any MMA acolyte might tell you, boxing canÃ¢â‚¬â„¢t die. ThereÃ¢â‚¬â„¢s too much heritage behind it, the sport is too exciting to watch live, its diehards too willing to put up with the sour to get to the sweet. But as far as the mainstream is concerned, IÃ¢â‚¬â„¢ve long thought boxingÃ¢â‚¬â„¢s days might be numbered. Pacquiao and Floyd Mayweather, the sportÃ¢â‚¬â„¢s twin titans, are long in the tooth and running out of people to fight who arenÃ¢â‚¬â„¢t each other. Newly a religious fanatic to counteract his history of philandering, Pacquiao has appeared increasingly disinterested and distracted, and nobody knows how three months in jail will change Mayweather. Both remain excellent fighters, but their respective careers started to wane a little while back. ThereÃ¢â‚¬â„¢s a solid chance that neither will be around in 18 monthsÃ¢â‚¬â„¢ time, taking with them a good chunk of the mainstream audience that only gives a damn when they fight. The only other real marquee star in the sport is Miguel Cotto, whoÃ¢â‚¬â„¢s no spring chicken himself. Martinez is great, but the world at large doesnÃ¢â‚¬â„¢t know or care. Shane Mosley and Antonio Margarito retired Ã¢â‚¬â€œ a few years too late, at that. The heavyweight division holds little intrigue. Canelo Alvarez isnÃ¢â‚¬â„¢t ready for superstardom, and though Chavez Jr. seems like he might actually be headed in that direction, he’s not there yet either. Boxing has long coasted on the notion of Pacquiao-Mayweather, a neon-lit mega-event on the distant horizon that will answer all of lifeÃ¢â‚¬â„¢s questions and solve all of its problems. I tend to think that if the fight is no longer a possibility, the big event-chasers demanding that their whims be entertained will simply fade away. Not that I wouldnÃ¢â‚¬â„¢t like to see the two fight, but as I wrote for Vice, IÃ¢â‚¬â„¢d almost rather they not have that final payoff, lest I have to hear endlessly what a letdown it was after all that time. Whether it happens or not, what will be left in the aftermath are the true fans of the sport, who tune in the week after a Pacquiao fight for Chavez-Lee and Tomasz Adamek-Eddie Chambers. I won’t exactly shed a tear for the conclusion of the sport being held hostage by the likely false idol of Pacquiao-Mayweather. 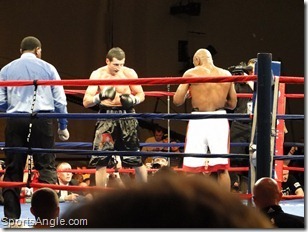 The first fight I went to with my fiancÃƒÂ©e was a Super Six semifinal between Carl Froch and Glen Johnson held in the smaller ballroom at Boardwalk Hall. She wasnÃ¢â‚¬â„¢t familiar with either fighter before that night, but she had a great time because of the intimacy of the proceedings. There were a few thousand more people, but the vibe was kind of like that Ed Kowalczyk show.Ã‚Â She got to meet several boxers, we had a great view of the ring and watched an exciting fight with friends who love the sport. If thatÃ¢â‚¬â„¢s any indication of what things will be like post-Mayweather and Pacquiao, if boxing as we’ve known it over the past decade is dead, it’s not so bad. Because that sounds like heaven. A question, though (a serious one, because I don’t follow boxing — or Twitter, as much): Would there have been this much of a reaction had Pacquiao won a rather boring fight? Or was the interest shown a result of the bad decision? If Pacquiao wins a boring fight, probably nobody cares. But most of his fights have been pretty exciting.Ã‚Â It’s the terrible decision that got everybody going here. It was the same way for Pacquiao’s last fight, except he actually won a very close fight. For whatever reason, people love to shovel dirt on boxing’s supposed corpse. Something like this just gives them an opening.